MICKEY: Have you tried that new pizza place down Minto Road? JACKIE: That’s nice. Do they deliver? Add the remaining ingredients and mix with a wooden spoon until the dough resembles a wet ball (The dough will be wet and sticky). Place the dough on a floured surface and knead for five minutes until smooth. Place the dough into a bowl and cover with lightly greased cling film. Leave the dough in a warm place for about 30 minutes. 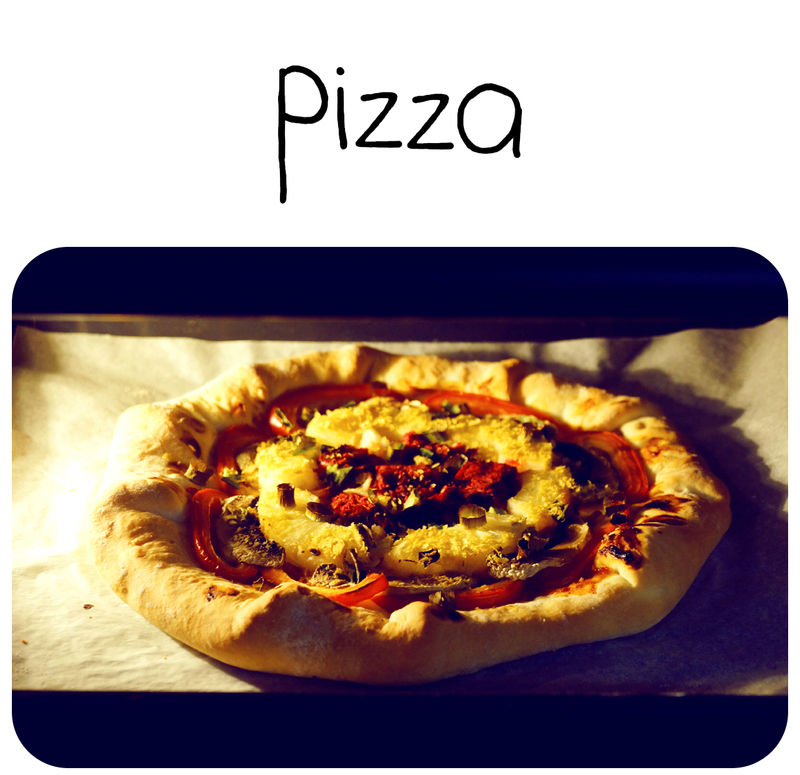 Roll out the dough on a lightly floured surface to form a pizza shape. Sprinkle the grated vegan cheese neatly about 1.5cm from the edge of the dough. Fold the edges over top of the cheese and press to seal. 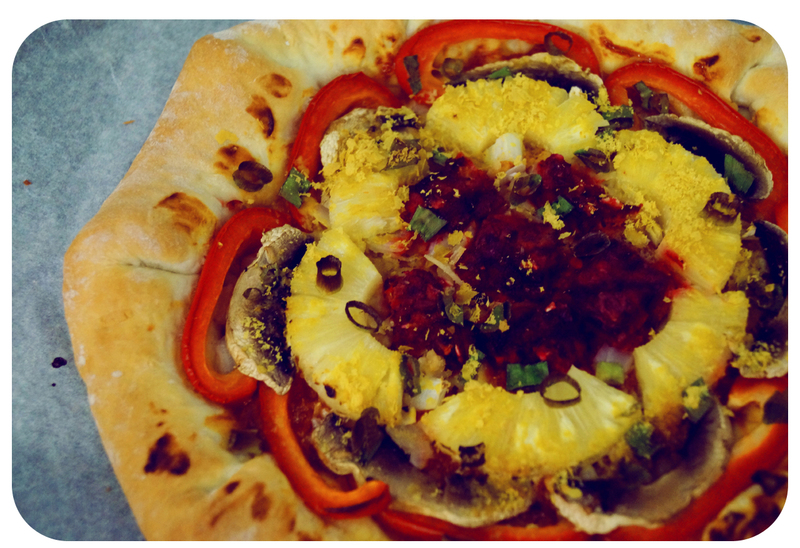 Top the dough with your favourite toppings and bake in oven. This entry was tagged Doctor Who, Pizza, S1E13, Season 1, stuffed-crust pizza, Vegan, Vegan Pizza. Bookmark the permalink. Looks like a gorgeous spring flower! And very palatable.